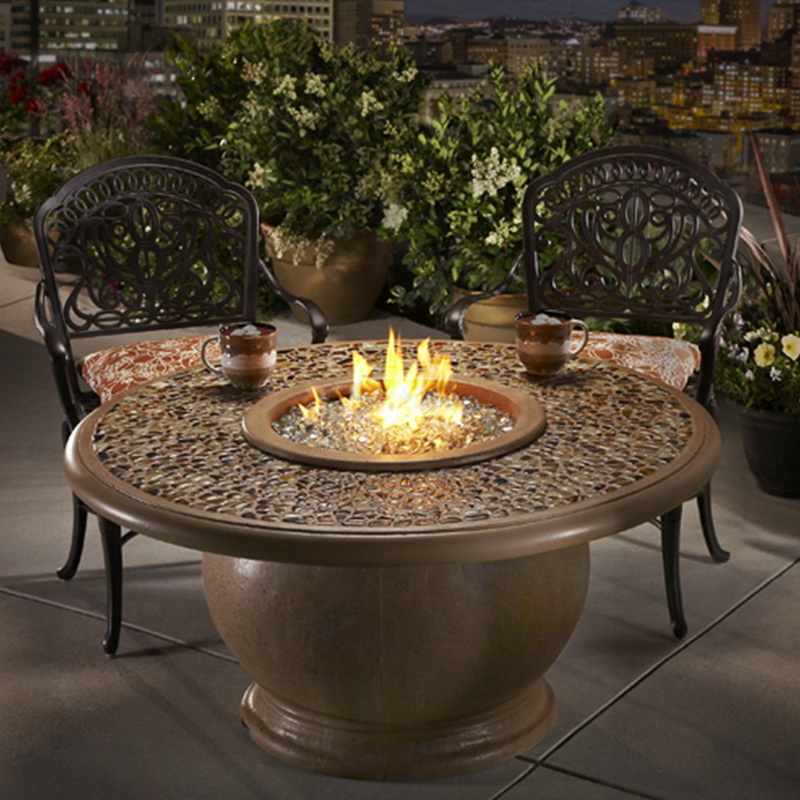 The Amphora Firetable w/ Artisan Glass features a round, Grecian-style base with a wide circular top with Artisan Glass embedded into the table top, set at the perfect height for a relaxed and intimate meal or cocktail hour around the warming flames. Our firetables create the perfect ambiance for enjoying an outdoor meal or cocktail while also keeping you warm from the evening chill. Table available with either a granite inset top or a concrete top. Fuel options include natural gas or self-contained propane tank (base is made with a removable door to house and easily access a propane tank inside). Handcrafted from glass fiber reinforced concrete. Artisan Glass Collection: The Artisan Glass collection features an artist-inspired mosaic of glass pieces imbedded into the concrete mold of the fire feature. Each piece of glass is hand-laid and grouted to create an intricate and unique design for each and every item. Three different variations of glass mosaics are available.